Can you please let me know when I should expect the passport? I would like to file for a new social security card. if it is possible. How can I find out how much Medicare Part B is taken out of my SS check? 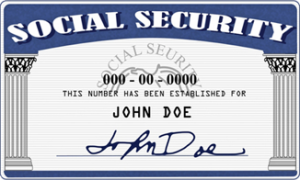 What documents do I need to apply for social security? 1511.1 Do you need to fill out all questions on the application form? You should answer all questions on the social Security application form. If you do not know the answer to a question, answer “unknown”. If you do not answer a question needed to establish your right to benefits, we cannot award benefits. 1511.2 How do you sign the application if you cannot write? If you cannot write, signature by mark on the signature line is acceptable. The signature by mark must be witnessed as indicated on the application form. See §1500.2 which explains Social Security Association’s signature alternative to the pen-and-ink signature or mark which has been implemented for teleclaims and in-person claims. want your benefits to start no more than 4 months in the future.